Click spa for larger image. When you want a hot tub that moves the most water in the industry, accept no substitute. 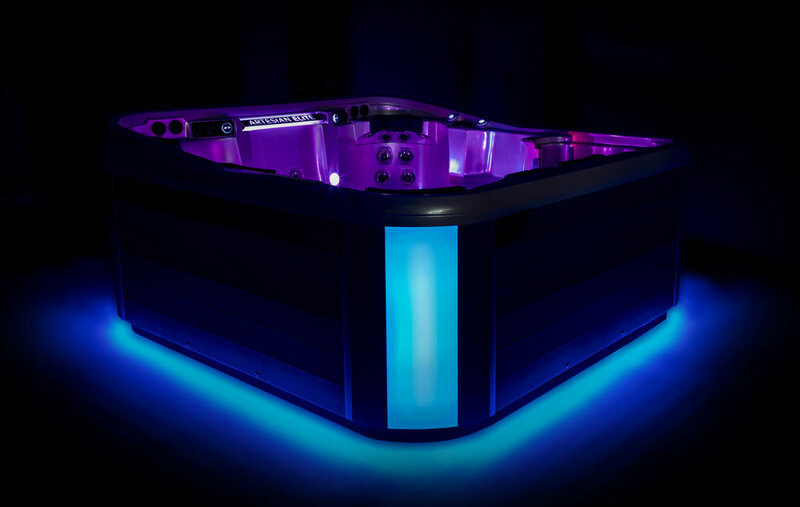 The Artesian Elite line of hot tubs from Artesian Spas is wholly unique: 5 Direct Flow seats backed by its own individual motor. 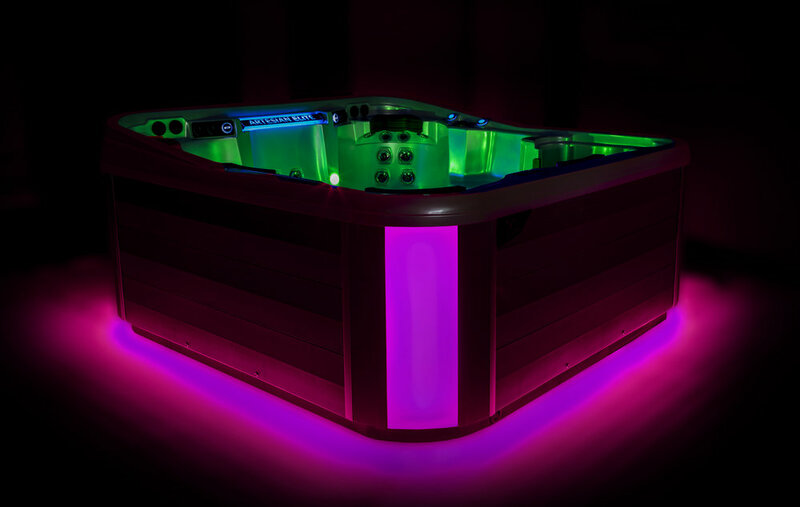 No other hot tub brands- none of them- utilize the variable speed switchless motors that make up Direct Flow, the unique direct plumbing system that provides the users with the ultimate individual control and hydrotherapy experience. 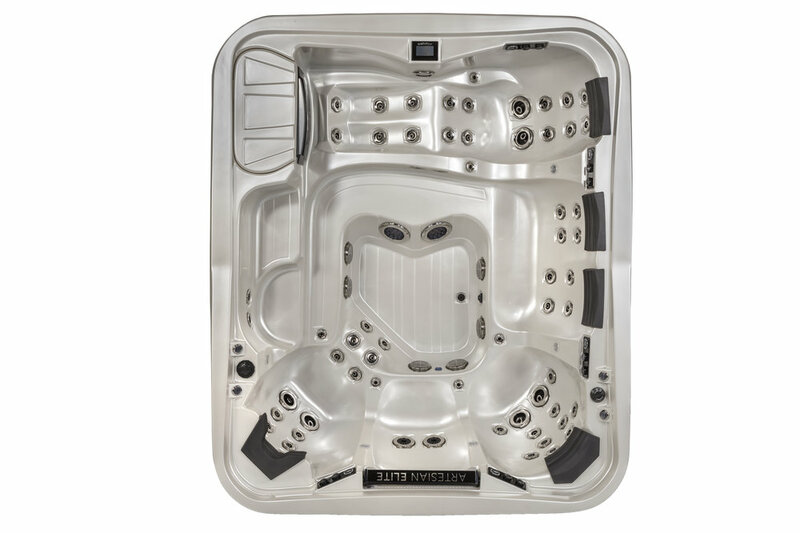 Loaded with 55 high-volume, sophisticated massage jets and seating for 6, the Eagle Crest certainly offers the ultimate spa experience. With five different controls for massage seats, everyone can relax with just the right amount of pressure without diverting water from other seats. Size: 84 x 84 x 42 in. Loaded with 65 high-volume, sophisticated massage jets and seating for 7, the Piper Glen certainly offers the ultimate spa experience. With five different controls for massage seats, everyone can relax with just the right amount of pressure without diverting water from other seats. Size: 91 x 91 x 42 in. Loaded with 67 high-volume, sophisticated massage jets and seating for 6, the Dove Canyon certainly offers the ultimate spa experience. With five different controls for massage seats, everyone can relax with just the right amount of pressure without diverting water from other seats. When you want a hot tub that moves the most water in the industry, accept no substitute. 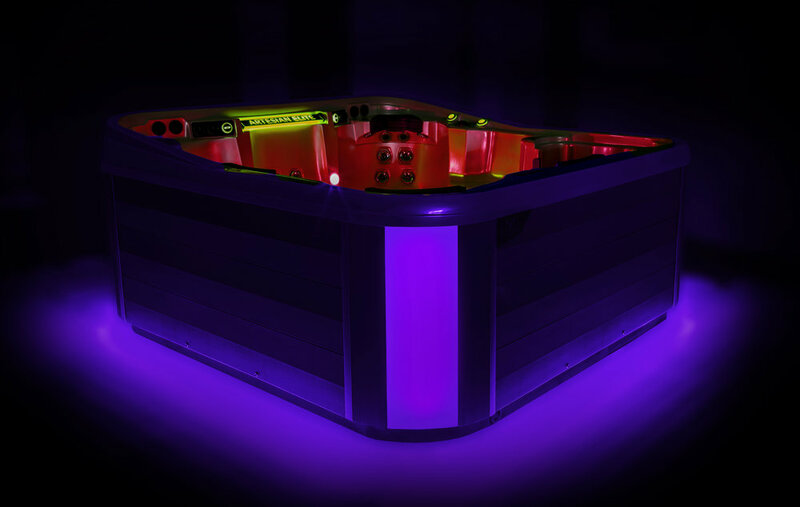 The Artesian Elite line of hot tubs from Artesian Spas is wholly unique: 4 Direct Flow seats backed by its own individual motor. No other hot tub brands- none of them- utilize the variable speed switchless motors that make up Direct Flow, the unique direct plumbing system that provides the users with the ultimate individual control and hydrotherapy experience. 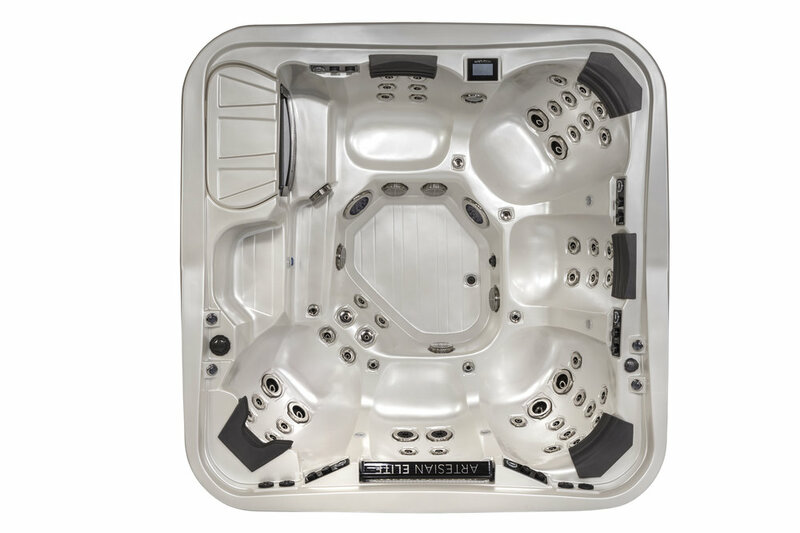 Loaded with 57 high-volume, sophisticated massage jets and seating for 4, the Quail Ridge certainly offers the ultimate spa experience. With 4 different controls for massage seats, everyone can relax with just the right amount of pressure without diverting water from other seats. Size: 91 x 79 x 42 in. 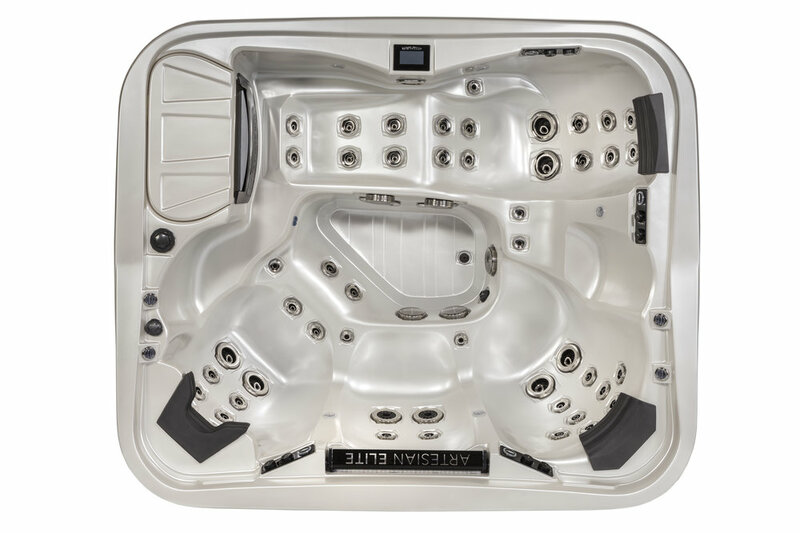 Loaded with 71 high-volume, sophisticated massage jets and seating for , the Pelican Bay certainly offers the ultimate spa experience. With five different controls for massage seats, everyone can relax with just the right amount of pressure without diverting water from other seats. Size: 108 x 91 x 42 in.